My biggest beauty-related frustration would have to be my brows. The hairs are incredibly fine and light, so if I'm not wearing any brow product, they disappear in most flash photographs. The front is noticeably thicker than the arch and tail (though that isn't saying much). And because I sleep on my side, my brows often end up looking like cockroach antennae, poking every which way and necessitating copious layers of brow gel to tame them. A lot of beauty bloggers say they skip their brows when they're doing "quick makeup," but for me, that's not an option. Enter the noble brow pencil--in this case, Maybelline Define-a-Brow, a cult classic some of my friends have used for years. Maybelline Define-a-Brow comes in a thin, bright green, twist-up tube with the product on one end and a comb on the other. I've seen this product range in price from $2 to $5; I personally got two pencils for $5 and had a $1 coupon to drop the price even lower. That seems like a real steal, but it's worth noting that you don't get a ton of product: there's only .001 oz of brow goodness in there. Compare that to .003 oz in the Anastasia Brow Wiz and the never-ending .14 oz Shu Uemura Hard Formula pencil. Still, the tiny size makes it handy for traveling or tossing in your purse. The packaging is cute and the lid stays on there, but beyond that, it's pretty lackluster. For starters, you can't retract the brow product: once you've twisted it up, there's no going back. This means you have to twist up a little, start doing your brows, twist up more as you need it, and so on and so on. It's a bit fussy and time consuming. The rigid plastic comb is also absolutely useless, unless you have the thickest, most unruly brows known to mankind. A spoolie would work better for most people. 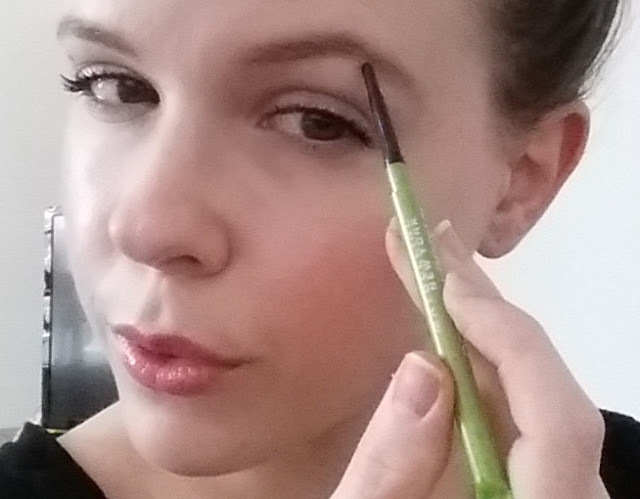 The formula of the Define-a-Brow pencil is very creamy, with just a hint of waxiness. Though pigmented, it's hard to overdo, in part because the thinness of the pencil makes it easiest to use quick, small strokes. I was able to use brow gel and brow wax over this product without smearing or pulling off the color, provided I used a tiny amount--too much brow gel will result in bare patches on your brows. 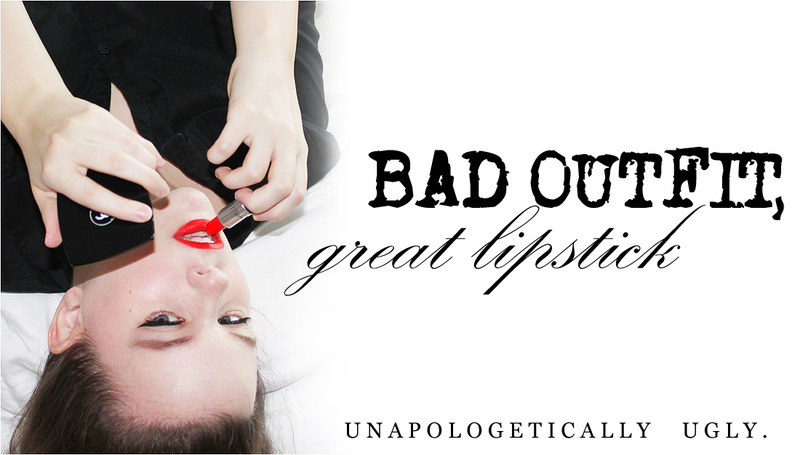 I got good wear from this product as well, with no fading throughout the day. The Define-a-Brow shade range is rather limited, with only 4 shades. 3 of those shades looked very yellow, but the shade I picked--Medium Brown--looked a tad more neutral. As you can see in the above photos, it really, really isn't; it has a definite red cast that looks incredibly fake on my face. I might have been able to get away with this when I had my bright red hair, but as a mousy brunette, it's not working for me. 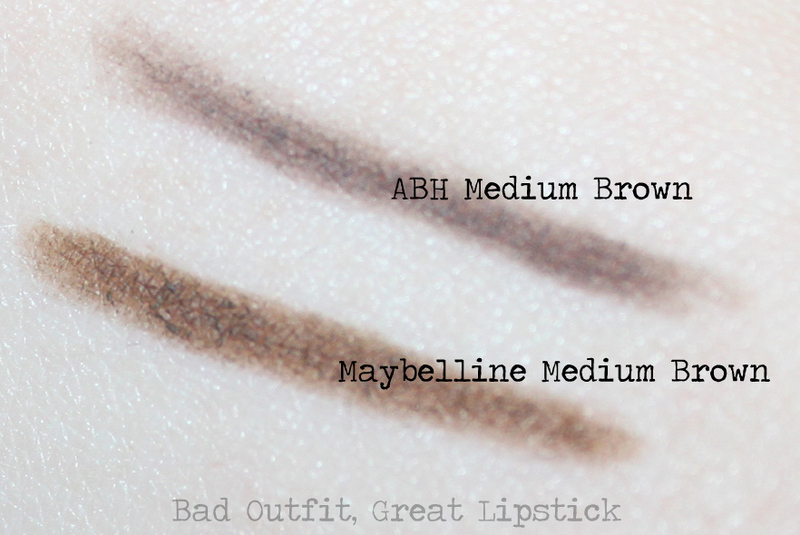 Here is Define-a-Brow in Medium Brown compared to the Anastasia Beverly Hills Brow Wiz in Medium Brown. You can clearly see that the ABH product is ashier. Not surprisingly, the Anastasia suits me better. Again, you won't find much in the way of ashy shades in this range, so unless you like a warm brow, steer clear. 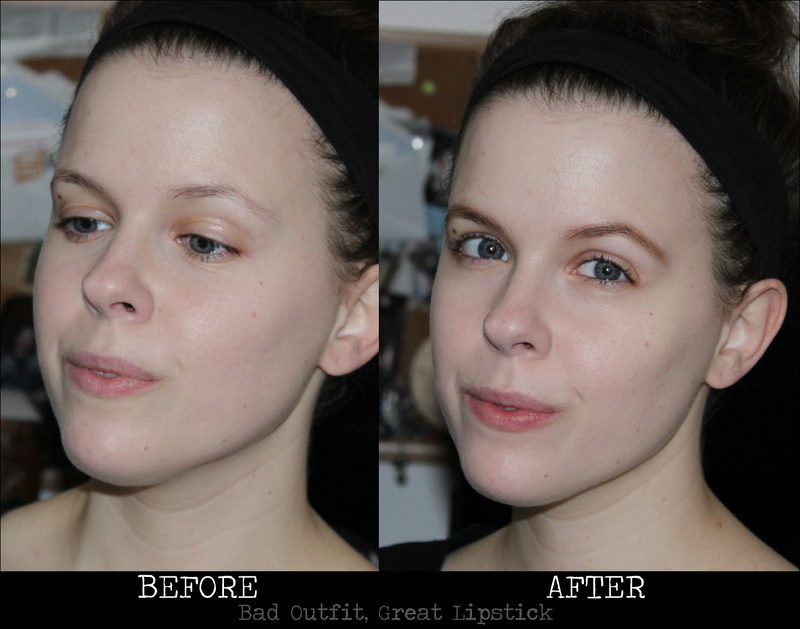 Define-a-Brow is a decent budget option in terms of the actual pencil, but the shade range leaves much to be desired. The packaging is also outdated and only halfways functional. If Maybelline makes a few tweaks to this pencil, they'll have a much better product on their hands. Is the Shu fussier to use? I thought it was your HG! My brows hairs are kind of sparse too, but I never seem to have much problems doing them. Do you draw in lots of little hairs? I usually just run a slanted twist up a couple of times and spoolie blend with little regards to natural strokes and it looks pretty okay to me. Plus I never ever use gel or anything. Maybe I'm a brow philistine? Hahaha. That colour does look atrocious on you (and probably 95% of people.) Good brow colours are tough to find! It is my HG! LOL! I just hate the idea of carrying it around and losing it, so I sometimes look for a cheap-and-easy alternative. I definitely wouldn't call the Shu fussier. It's just formulated in such a way that you do have to take a bit more time to draw things on--it reacts to the oil in brow hairs. Really great for both natural brows and heavier ones. I don't really draw in individual hairs with pencils because my brows are so freaking fine, but rather, I use short strokes throughout. I think you'll like the NYX Micro Brow pencil. I was using the Anastasia Brow Wiz since the color was called Ash Brown, but I can't tell the difference between that one and the NYX pencil. The only downside is that I can't find the NYX pencil in stores, I have to order it. Chelle in Taupe is the only one that has really been spot on for me. It seems to be a true taupe I add a powder to warm it up a touch. It matches my winter roots so its nice to color in my baby blonde brows that blend into my pale face lol. 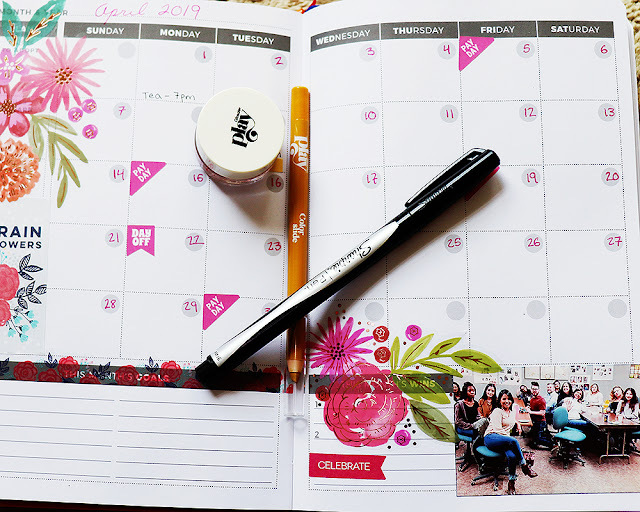 I used to use a La Femme pencil in Taupe, and it was a great $2 pencil. But it's so hard to find those true taupe shades at the drugstore!